Last week several of us travelled to the East Coast for the annual Perennial Plant Association (PPA) Symposium. We were so inspired while touring some of the most beautiful private and public gardens, growers and garden centers. Other staff toured the beautiful gardens at Ball Seed during their annual Field Day. Opportunities to attend workshops, learn from horticultural leaders, see new plant varieties, and network with other professionals inspire us! We saw so many wonderful things we just had to share. How amazing is the patio cover of Linden trees! A Linden was planted in each corner of this patio and then they were trimmed and groomed to be a perfect canopy over the outdoor dining room at Millbourne Estate. 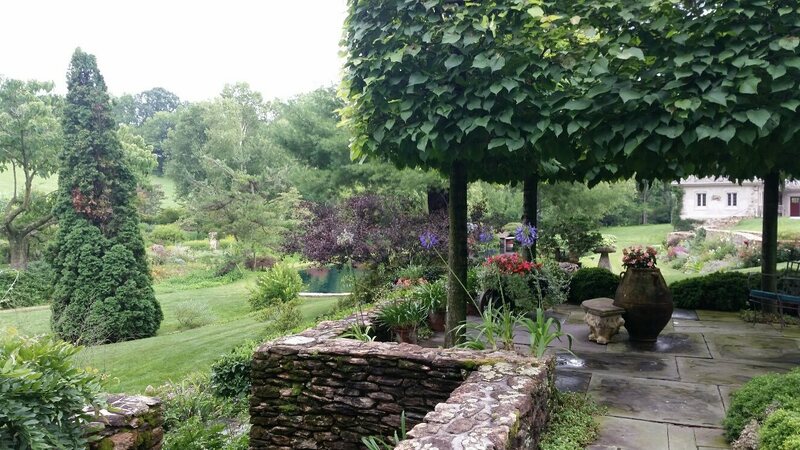 Interestingly, all the private gardens we toured, including Millbourne Estate and The Cylbourn Arboretum, utilized beautiful containers of annuals and perennials in their gardens. Often, the very large containers served as a focal point amidst the garden or flanking an entryway into a secret garden within the garden. The Growing Place Learning Gardens in Naperville and Aurora are an oasis maintained to help inspire you using the right plants in the right places. You can also browse our displays demonstrating plant combinations for a multitude of conditions—sun and shade, annuals and perennials, dry and wet conditions and much more. The Morton Arboretum, Cantigny, Chicago Botanical Garden, Lurie Garden, Millennium Park, and The Art Institute all have beautiful INSPIRING gardens. And NOW is the time to see them, while they are in full summer bloom. Take the time to look beyond the blooms to see the texture of the leaves, the variegation in leaf color and the layering of colors by planting groupings staggered throughout the gardens. Don’t be shy, take pictures of ideas and plants you like to implement in your own yard. One of the many many container ideas at Longwood Gardens. While in Baltimore, we heard from Cassin Schmidt, a German horticulturalist. 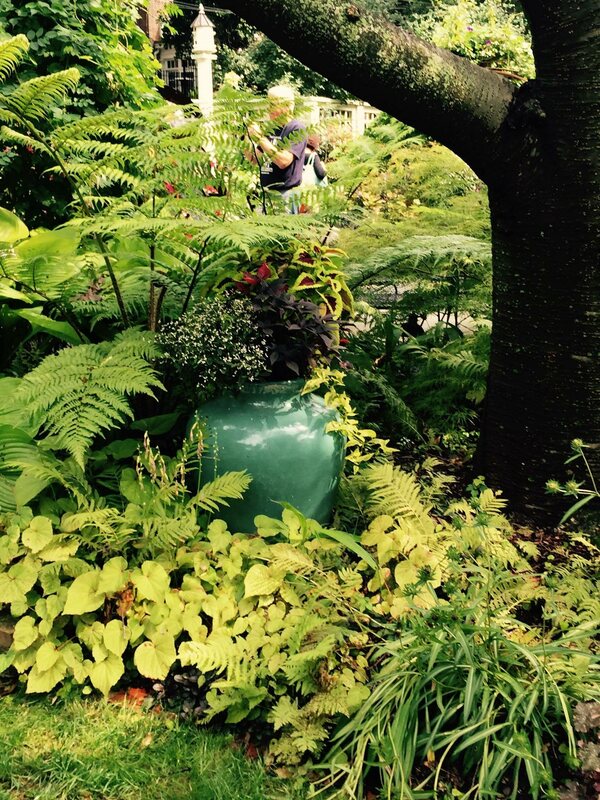 who referenced the plantings at The Chicago Botanical Garden and Millennium Park. 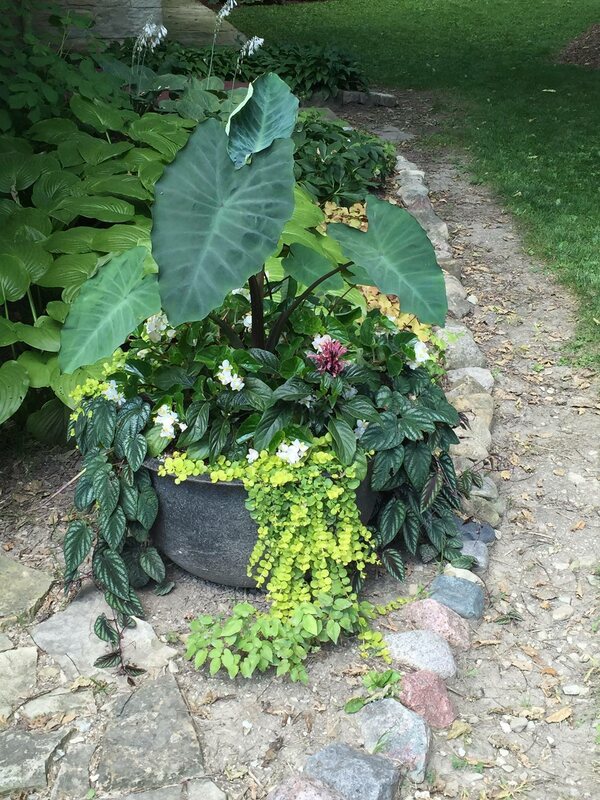 Our beautiful Chicagoland area was highlighted in so many of the featured garden designs. So take some time these lazy days of summer and go out and get inspired by the beauty that abounds right in our backyard! On your way home, stop in The Growing Place. We’re proud of our expansive plant selections that are your source for many of the plant varieties you’ll see in these fabulous inspirational gardens.